And people are super emotional about it. 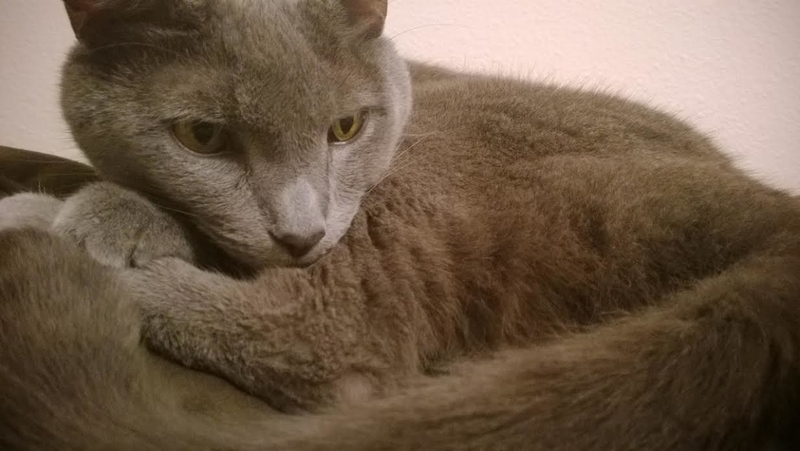 This is Andrew the cat, a treasured member of Andrew Bernhard's family for 15½ years. In this photo, he is holding hands with his owners as they drive to the vet to put him down. Last month, Bernhard shared this photo on Reddit with the caption: "He held our hands on his last trip to the vet. Little Andrew was much stronger than his mom and I." "I was crying a lot, for sure," Bernhard told BuzzFeed News of realizing that Andrew might know, on some level, that it was time to say goodbye. Bernhard said that putting Andrew the cat down had become the only "fair" thing to do. "He was by my side for a long time and just had been running out of gas," he said. "He wasn't eating or drinking, stopped purring, and just wasn't himself. It would've been selfish to keep him just because I didn't want to lose him." Andrew was always a lap cat, Bernhard said, so the show of affection wasn't a huge surprise. "He'd always want to lay on you and be real close. 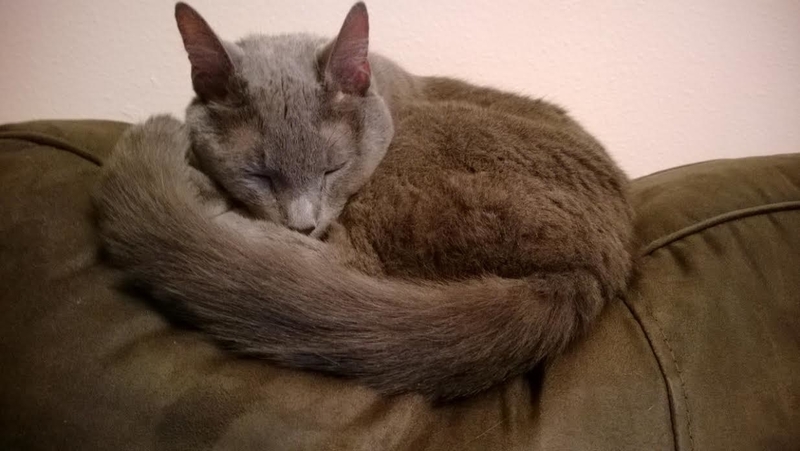 He had a perfect ability to sit on my or my wife's lap, while we were working on the computer, and he would always hit one random button to turn them off," he said. Andrew was with Bernhard through all of life's major milestones — high school, college, podiatric medical school, residency, and marriage — and the two of them shared a special bond. "Andrew was my little boy," Bernhard said of the cat that even shared his name. "I got him as part of a litter in high school. He was real happy and outgoing from the start, which is why he got named Andrew. He was my junior. It was real goofy in retrospect." Unsurprisingly, Bernhard's heartbreaking photo got a lot of attention after he posted it on Reddit, mostly from people deep in the throes of sadness. A lot of people also shared their own stories of love and loss. "I've been very happy with the outpouring of support," Bernhard said. "I knew Andrew was special, but didn't expect others to necessarily see that. He's now touched a lot of people and it makes me real happy." "It's still weird without him, for sure, but I'm happy to have my wife and dogs around," he said. "I hope everyone has the chance to have an Andrew cat in their life at some point."